Find Peacocks sale, discount, deals and bargains here. Shared by our community of bargain hunters and updated daily. Baby Girls Cream Fluffy Booties - ONLY £1.50! Peacocks is a fashion retail chain founded in 1884 in Warrington. It started out as a family run business offering a wide array of home goods and basic clothing. Throughout the years, the business expanded and opened more outlets and developed its look to keep up with the ever changing times and trends. Today, it still remained a family-owned business with over 400 Peacocks retail outlets all over the UK and over 200 franchise outlets outside the country in countries like Cyprus, Bahrain, Egypt, Georgia, Russia, Serbia and Ukraine just to name a few. The company has established itself as a value-for-money retailer for more than 100 years. The brand was propelled forward to even greater success in today’s market when it focused greatly on fashion in mid 1990s. To save the most money at Peacocks it’s best to shop on their online store www.peacocks.co.uk. The retailer often has voucher codes and special offers along with flash sales. It’s not uncommon to come across a 50% flash sale, or a discount code for 20% off and free delivery. For the latest Peacocks bargains, deals and sales browse www.latestdeals.co.uk. Our community of deal hunters share the best Peacocks discounts and voucher codes to help you save money. Www.peacocks.co.uk offers a wide array of clothing for men, women and children as well as shoes, accessories, lingerie and holiday outfits. They also have the brand Jane Norman as part of its offering. You can shop for clothing for your whole family at amazing prices. You have an option to shop by category, colour, gender, size as well as the most popular or the cheapest. 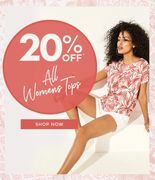 Women: Shop online today to get your hands on their newest trends including tops, dresses, denim jeans, lingerie and more that are new in this season. Men: You can refresh your wardrobe with fashionable new additions for formal occasions including suits, waistcoats and shirts; or invest in every day essentials like denim jeans, coats and jackets at great prices. Kids: Their range of girl's clothing features gorgeous dresses, casual t-shirts and denim jeans, along with warm and waterproof coats and jackets to keep her dry and on-trend on the way to and from school, while their boys’ clothing includes everything from pyjamas to hoodies and denim jeans. Shoes & Accessories: Find the perfect finishing touches for your outfits, and the ideal gifts for friends, colleagues and loved ones. Lingerie: They’ve got a fantastic collection of bras, underwear and pyjamas for women in a variety of colours and designs that she's guaranteed to love wearing. From every day, comfortable styles to more luxurious lingerie, you can browse the full range of new lingerie and nightwear today. Holiday Shop: Shop today for the perfect holiday outfit and accessories to match. Jane Norman: Find the latest trends and hottest looks by Jane Norman, from show-stopping dresses to those everyday wardrobe essentials. The Peacocks website hosts a sale section all year round. Here you can save up to 70% off womens, mens, girls, boys, shoes and accessories and lingerie. These items are usually limited in size or stock, and may be the last season. For us deal hunters it's a perfect way to save money by planning ahead. Whether you're looking for tops, dresses, work clothes, bras or underwear - you'll find it all in the sale section. Plus, quite often you can stack these deals with a voucher code (however, not student discounts). How do I contact Peacocks? You can email general enquiries using their Online Contact Form. What are the delivery options for Peacocks? Standard Delivery: £3.99 or FREE on orders of £50 or more. Items delivered in 3-5 Days. Mon to Sat, excluding Sundays & public holidays. Express Delivery: £4.99, orders placed by 3.00pm Mon-Fri, will be delivered next working day, excluding Sundays & public holidays. Pre Noon Express: £5.99, orders placed by 3.00pm Mon-Fri, will be delivered pre noon the next working day, excluding Saturdays, Sundays & public holidays. During times of promotion, shipping charges may vary. You can track your deliveries via www.Myyodel.co.uk. How do I return an item to Peacocks? You can return your item(s) within 28 days of receipt and in its original packaging, unworn, unwashed and complete with their original labels to get a full refund. You may also contact their Customer Service Team on 029 2010 1560 or by e-mail at online-customer-services@peacocks.co.uk. In the interests of hygiene, you are unable to return pierced products, hair extensions or breast enhancers. Swimwear may only be returned if the hygiene strip has not been removed. You must complete the Returns Note attached to the Dispatch Note indicating the items you are returning and the reason for the return. Always keep details of items you are returning, together with the remaining part of the Dispatch Note and any proof of return documents until you have received your refund, in case of the unlikely event of returned goods being lost in transit. They will only refund the price of the item back onto the payment card used to place the order once it is received by them. Allow 14 working days for items to reach them for the refund to show on your payment card. Exchange is not available via post. Returns can be made to any Peacocks store as long as it is within their returns policy guidelines, simply take the dispatch/refund note and the product you wish to return to your nearest Peacocks store and advise their sales colleagues you purchased it online. Exchanges for goods at the same or greater value (on payment of difference) can be made. Items may be returned to us within 28 days from the date of despatch for a refund. For further details, read their full Returns and Refunds page. Get the ultimate gift with a Peacocks gift card, redeemable in store or online. Treat that someone special to a mini shopping spree and let them choose exactly what they want, from dresses to tops, nightwear to bags it’s the perfect gift. For more information, visit their Gift Cards page. If you're a student and have an account with StudentBeans you can get 20% off full price items. Either show your card in-store or register online and get your exclusive and unique code. Online Peacocks has a blog called The Edit or Style Stories. It is a stylish fashion guide to the latest designs and collections. However, rather than be in one location, they create separate edits that you can find at the bottom of the home page. For example, the latest Summer fashion, party inspiration and more. These are usually just pictures, no words - but what more do you need from a fashion blog? Sometimes however there are articles such as exercises or healthy facemasks which do contain instructions.